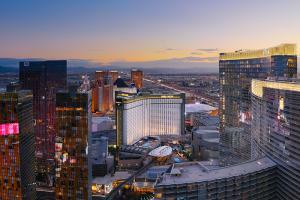 NoMad Las Vegas brings the grandeur of European casino hotels to Park MGM with a NoMad hotel, casino, pool, and NoMad Restaurant and Bar led by the 2017 World's 50 Best Restaurant winners, Daniel Humm and Will Guidara. A place of rendezvous and romance, where elegant evenings and moments of chance mix with extraordinary cuisine and inclusive hospitality. The design, as in New York and Los Angeles, is a collaboration with Jacques Garcia drawing inspiration from the natural surroundings of the desert with a nod to glamour and playfulness of The Strip.